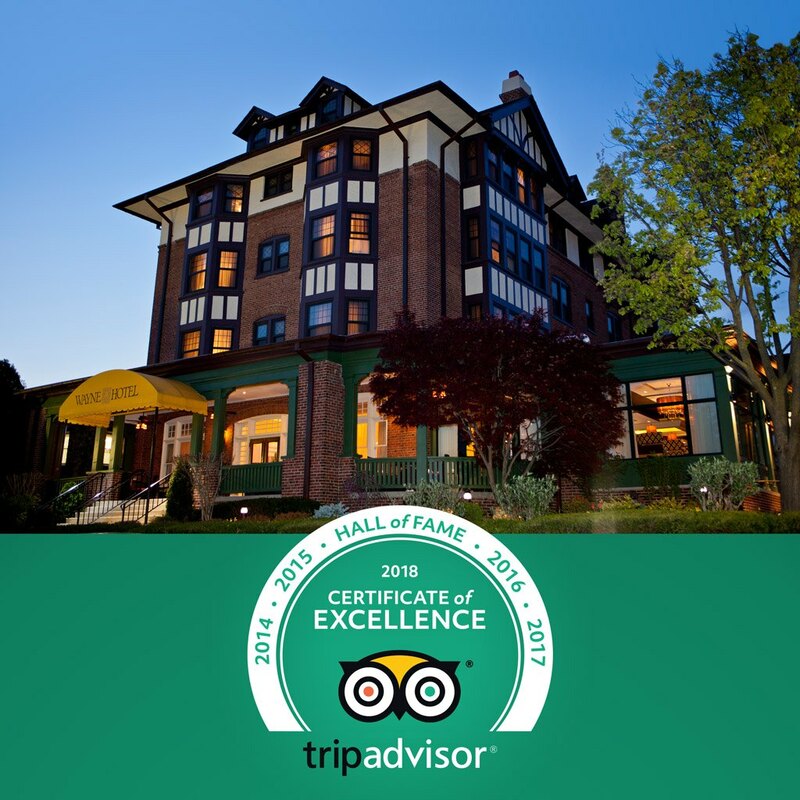 The Wayne Hotel has been awarded the 2018 Certificate of Excellence by TripAdvisor, in addition to qualifying for the Certificate of Excellence Hall of Fame for receiving this award for five consecutive years! This achievement is a direct result of consistently great reviews from TripAdvisor travelers. The Wayne Hotel would like to thank their guests who have shared their positive experiences with hotel services and dining.